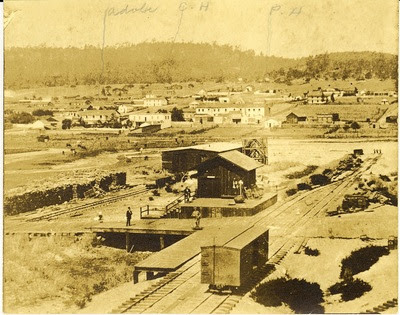 In the early 1870s, the city of Monterey lacked railroad service. 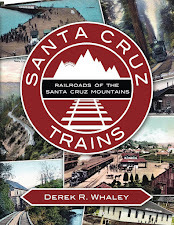 Although the Southern Pacific Railroad had constructed its route in November 1872 through the town of Salinas on its slow crawl to San Luis Obispo and Southern California, it had bypassed the coastal town that was notoriously off the beaten track. A group known as the Patrons of Husbandry – popularly the Grangers – decided to change the situation when they founded on March 5, 1874, the narrow-gauged Monterey & Salinas Valley Railroad. 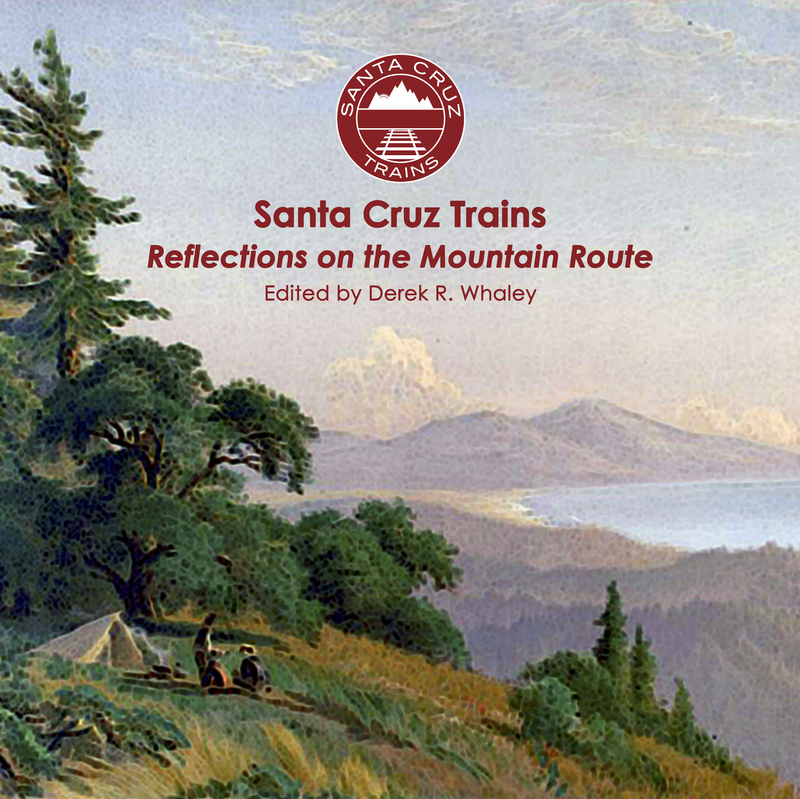 Like most railroads, this was a joint-stock operation built by a mixed Chinese/European crew, but it was financed by a remarkable selection of 72 people, mostly prominent industrialists and farmers from Salinas and Monterey. Their goal was not simply to transport freight between Monterey and Salinas easier, but to completely undermine the high prices of Southern Pacific by exporting goods via the Monterey Wharf. Their patrons were largely the cattle ranchers, wheat farmers, and fisheries of the lower Salinas River basin and Monterey Bay. The original Monterey & Salinas Valley Railroad end-of-track at Monterey. The route was surveyed in 1873, prior to incorporation, and construction began in April with little fanfare. By October 9, the entire route was completed following a mostly direct line between Monterey and Salinas. At this time, it was the first narrow-gauge common carrier in California. The Salinas Depot was located at modern day Pajaro and Willow Streets, while the Monterey Depot was located on the beach at the foot of today's Fishermen's Wharf (roughly where Monterey Station still is today). Only one significant crossing was required for the route, a 300-foot-long bridge over the Salinas River, but this proved to be the little 18.5-mile-long railroad's first perennial problem. Only four months after the route was completed, a storm passed through that devastated much of the area. Among its casualties was the Salinas River bridge. Over the following four years, this bridge was washed out twice more, severely crippling railroading operations in the winter months. To make matters worse, the engine house burned down in September, 1877, damaging both of the railroad's locomotives. All of these problems contributed to a general breakdown of the company's management structure. By 1879, two rivals were suing and countersuing each other in the California Supreme Court for control over the operation. The Southern Pacific had never really permitted the Monterey & Salinas Valley Railroad to thrive. As soon as their route was completed, its low freight rates were undercut by even lower rates by the Southern Pacific. For five years, they allowed the struggling little narrow-gauge to continue, but then, without warning, the Southern Pacific gobbled up the enfeebled company up on December 22, 1879. The Southern Pacific desired to convert the former right-of-way to standard gauge but decided on an entirely different approach path. On January 24, 1880, they incorporated the subsidiary Monterey Railroad to acknowledge the fact that the railroad had begun grading a new route between Castroville, the nearest Southern Pacific station, and Bardin since October the previous year. Replacement of the Bardin to Monterey narrow-gauge rails began immediately while regular service along the new line commenced on January 1, 1880. A total of 6.44 miles of track between Bardin and Salinas were entirely removed while the remaining 12.12 miles of track were replaced. Thus, the direct route between Salinas and Monterey so championed by the founders of the Monterey & Salinas Valley Railroad was replaced with a more cumbersome route that backtracked through Castroville. Of the rolling stock, most of it was sold to the Nevada Central Railroad. The Monterey Railroad itself was merged into the Southern Pacific Company May 14, 1888, to become the Monterey Branch. The route between Monterey Wharf and Bardin is largely the same as the path of the Monterey Bay Coastal Trail and bike path and is open to the public. Where things get tricky is once the original route breaks off from the Monterey Branch at Bardin. This break began roughly where Beach Road and Del Monte Boulevard split in Marina. A 1947 USGS map shows the railroad grade continued passed through what is now a small residential area on the east side of the tracks before heading to the current Monterey Regional Waste Management center at the end of Charlie Benson Lane. There are slight traces of the right-of-way still visible along this stretch – between the two developed areas – the most notable sign being a very perceptible cut through a short bluff midway between these points in the middle of an empty field. This can be best seen from a distance at the top of Sean Court and Michael Drive, although it can also be viewed from Cosky Drive and Del Monte Ave. Nothing is visible from the dump, however. From here, though, the right-of-way seems entirely lost. Even the sources are not certain as to where it crossed the Salinas River. Robertson says it took almost a direct line between Bardin and Salinas, but that is impossible considering the known grading. The mention that the Salinas Depot was at Pajaro and Willow Streets suggests that the route eventually came to parallel (or was) West Blanco Road, following that route until roughly Iverson Street in Salinas, at which point it would have cut across modern properties to get to its end-of-track. A trace road from a 1910-1913 map of Monterey and Salinas suggests there was a little-used road in this area that may have once served to take the right-of-way to where the Pajaro Valley Consolidated Railroad route later was built, and the comparisons between those two lines from this point to downtown Salinas are extremely similar. But this is pure speculation. More research must be conducted to determine the ultimate route of the Monterey & Salinas Valley Railroad. Hansen, Norman E. "History of the Real Monterey & Salinas Valley Railroad". Monterey & Salinas Valley Railroad Museum. "The Monterey & Salinas Valley Railroad". Monterey County Historical Society, 2010. Thomas, Tim, and Dennis Copeland. Images of America: Monterey's Waterfront. Arcadia, 2006. The photo shows the end of track at Monterey, not Salinas. There are no photographs of the narrow gauge facilities at Salinas. Thank you, Dave. I've corrected the caption as noted.